As a side note, I did end up doing a Periscope broadcast of the opening today, which included rope drop to Seven Dwarfs Mine Train, just to demonstrate the path I like to take as I make my way to that ride at rope drop if it happens to be the first thing on my RideMax plan. Because I was “scoping” the opening rather than taking pictures, you’ll have to take my word for it that I rode Mine Train first thing, and was in line right behind the Cast Member leading the way. On to the business at hand, my main goal today was to burn through my first three FP+ reservations so that I could test obtaining more of them from the app once those three were gone. 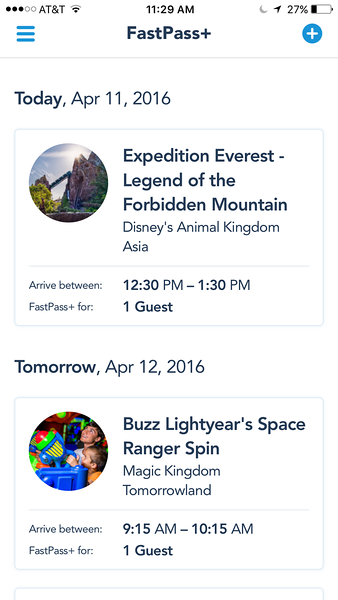 Above is the screenshot of my first three reservations, which I secured before leaving home for the park. 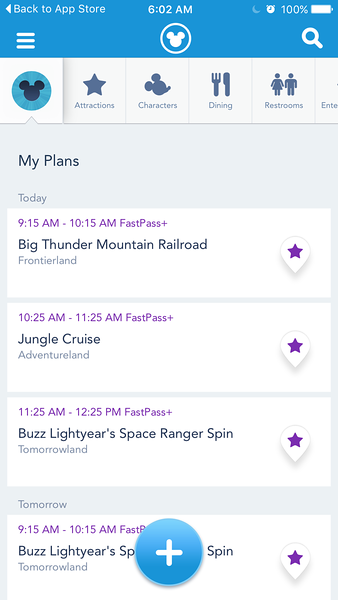 As you can see, my plan was to visit Big Thunder, Jungle Cruise, and Buzz Lightyear using FP+. I chose these particular attractions — especially Buzz Lightyear as my last one — because I was hoping the large hourly capacity on Buzz would allow me to “move up” my reservation there earlier in the day once I had used the other two. Because I was Periscoping my ride on the Mine Train as well as Big Thunder, I don’t have pictures of Big Thunder, but I did finish it by 9:40am. 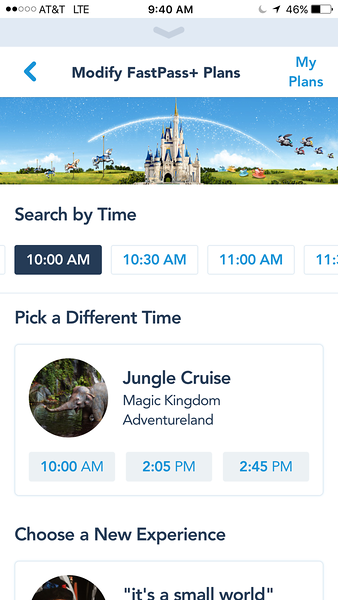 Because I was finished so early, I was hoping I might be able to reschedule my Jungle Cruise FP+ earlier than my original 10:25am starting time. As you can see in the screenshot above, there was indeed a 10:00am time slot available, so I took it. As you can also see, there was availability for 10:30am, 11:00am, and other time slots as well. Things were pretty flexible this early in the day. 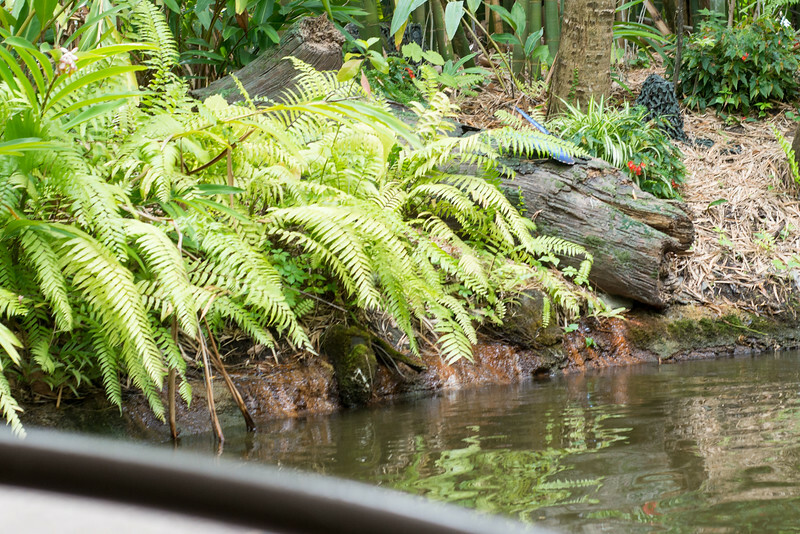 Jungle Cruise now confirmed for 10:00am rather than 10:25am. It’s now 9:42am, and the crowds aren’t too bad at this point. 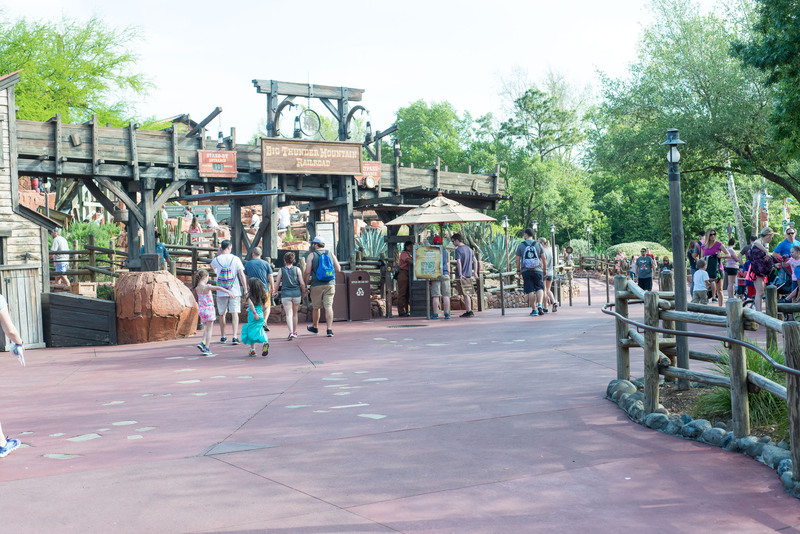 Five minute posted wait for Pirates. 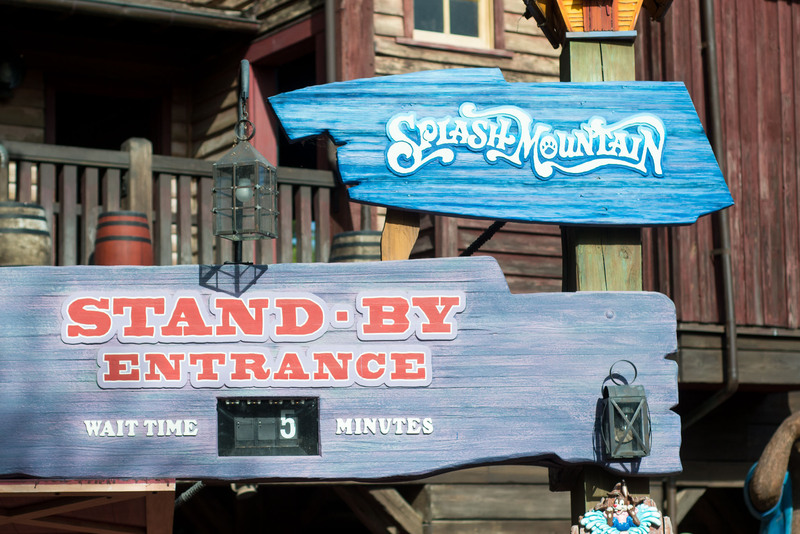 …and Big Thunder was up to a whopping ten minutes. 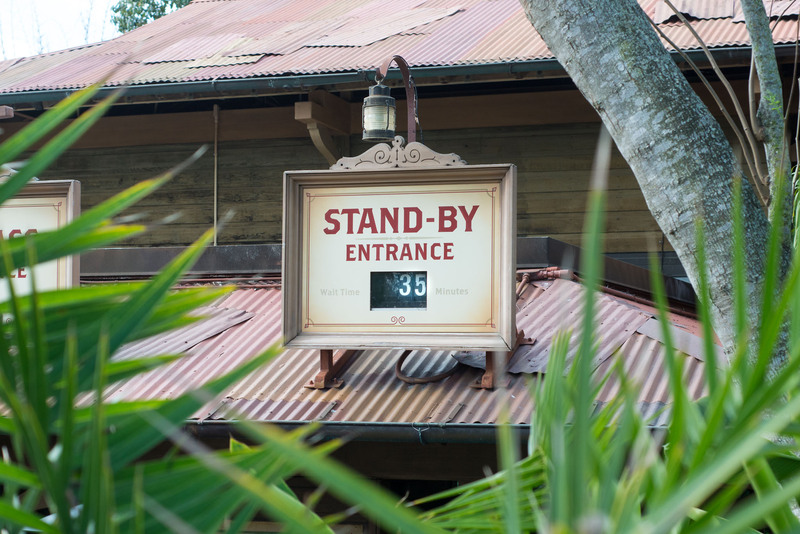 Here we are at 9:52am, and the posted wait for Jungle Cruise is already up to 35 minutes. I think this was partly due to Disney running the ride at reduced capacity this early in the day. 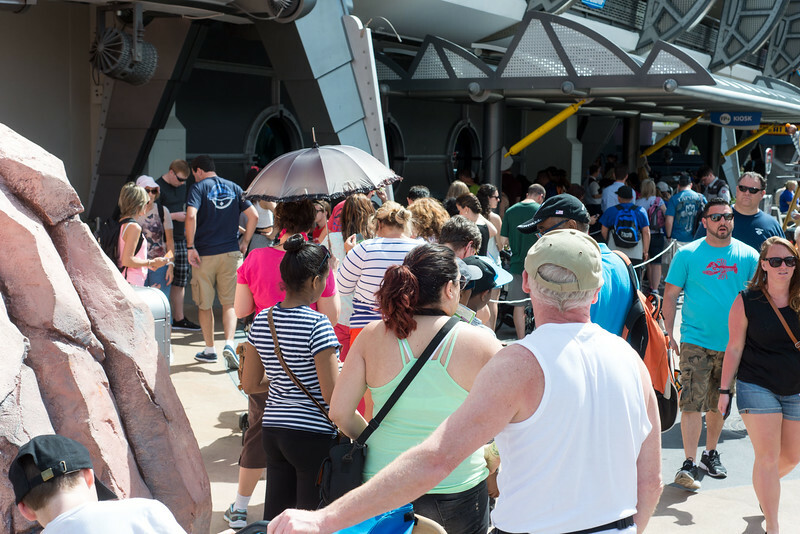 At least the crowds outside the queue weren’t too bad yet, including the line at the FP+ kiosks. Finally on the ride, here we are riding through the jungle at 10:09am. Finished with the Jungle Cruise by 10:29am, I had hoped to move up my reservation at Buzz Lightyear to earlier than the 11:25am time slot I had now. Somewhat to my surprise, especially given the ride’s huge capacity, the earliest time slot available is now 2:10pm. So I opted to just stick with my 11:25am reservation. 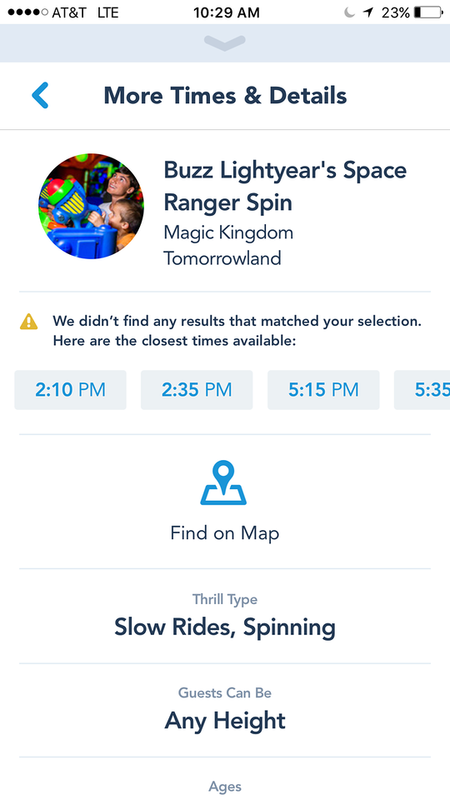 I have to admit that I was *very* surprised at the limited availability for the vast majority of attractions, especially this early in the day. Even a high-capacity ride like Under the Sea didn’t have anything available until 7:45pm. I didn’t verify this, but my guess here is that if I had been setting up my initial three reservations now (instead of just trying to reschedule my third one), I would have seen much more availability. I may need to save *proving* this theory for a future test though. Having decided to wait for my 11:25am time slot, I had a few minutes to take some pictures. 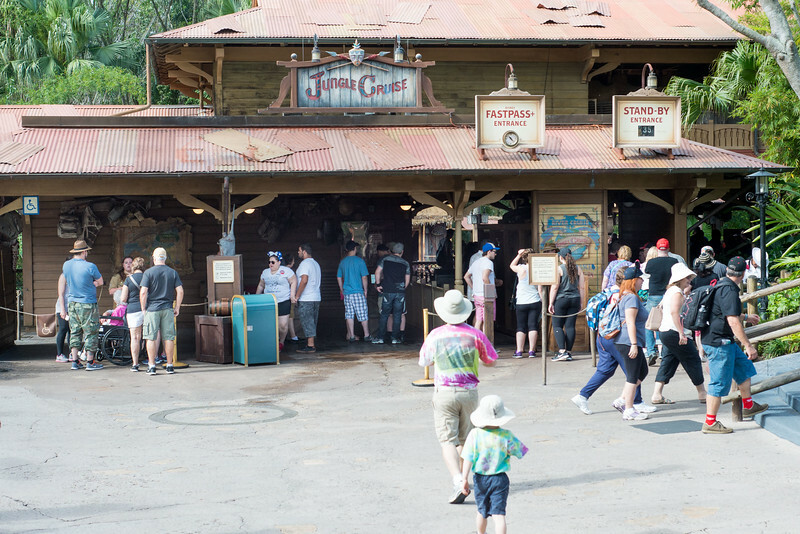 Above is the line for the FP+ kiosks outside the Stitch’s Great Escape queue. 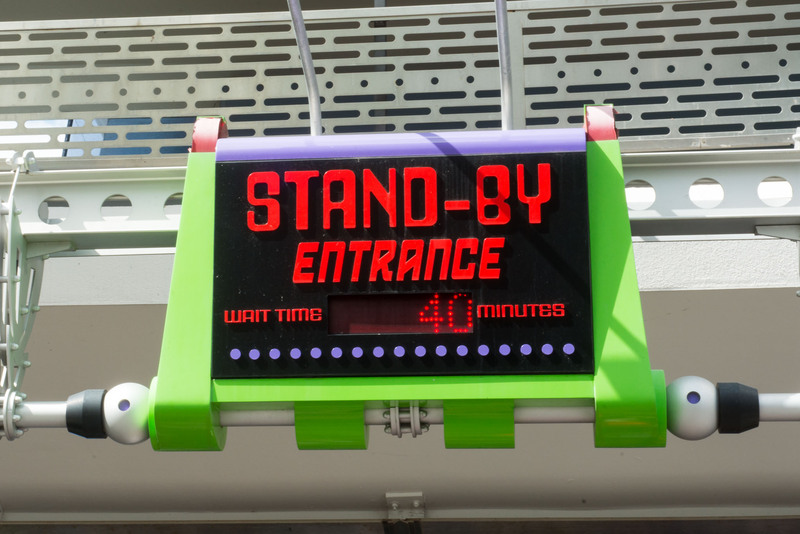 …with the Buzz Lightyear wait posted at 40 minutes. This is at 10:42am. 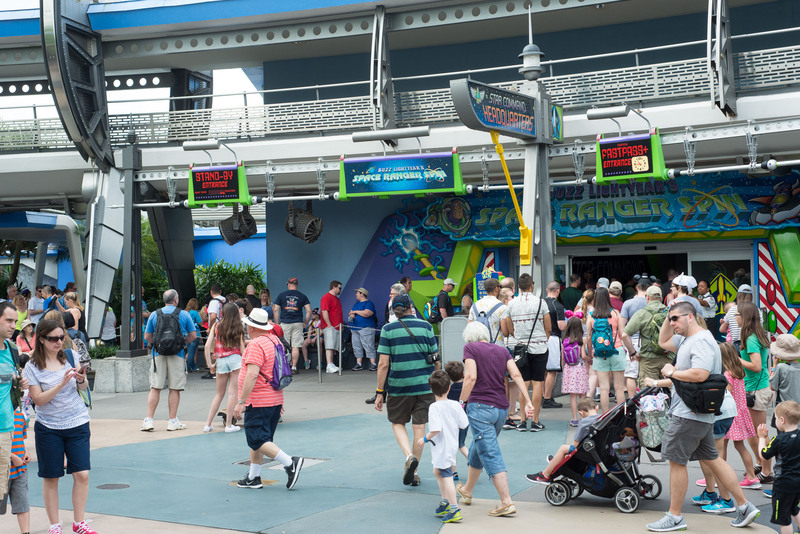 Still NO alternate time slots listed for Buzz Lightyear at 10:56am. …despite a decent line waiting to use them. Although I didn’t take pictures on Buzz Lightyear, I was able to board five minutes earlier than my scheduled time, and I was finished by 11:25am. It’s worth noting that some of the slots listed above as available are probably just due to good luck, with someone else canceling an existing reservation — 7DMT at 8:25pm, for example. 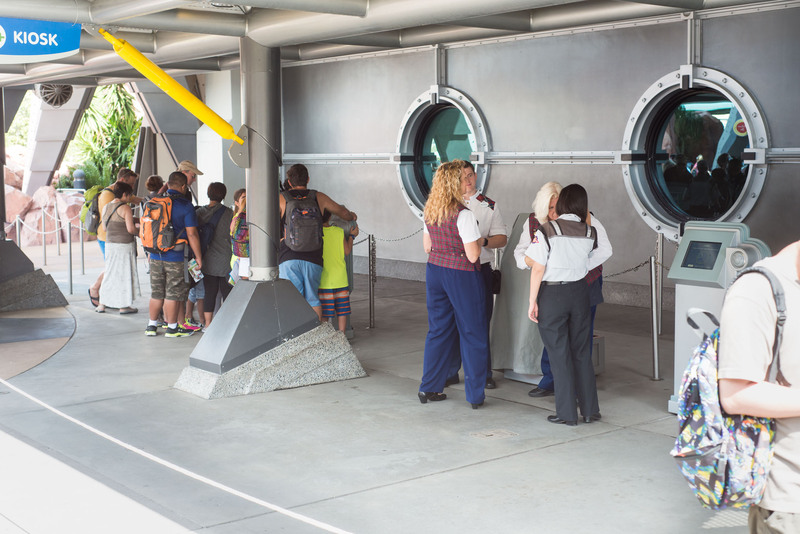 The availability at other attractions is much more telling though. For example, Jungle Cruise is now showing wide availability, with the first time slot beginning in just fifteen minutes, whereas earlier (before I had used my third reservation) it showed NO availability at all. Likewise Dumbo, which previously showed the earliest available time slot at 5:40pm, is now showing availability as early as 12:10pm. 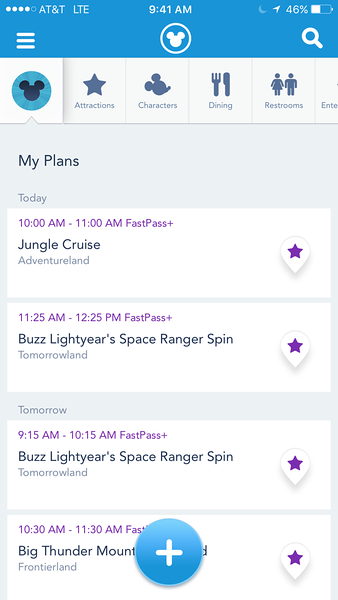 I’ll leave it to you to compare the two lists and draw your own conclusions, but to me it seems that Disney is generally showing more availability for FP+ *after* you’ve used your first three — at least when you’ve wrapped up those first three early in the day. I should also note that I’m probably seeing more availability today than most groups would, because I’m traveling as a party of just one. Some of these time slots likely wouldn’t be in the list of a larger party. 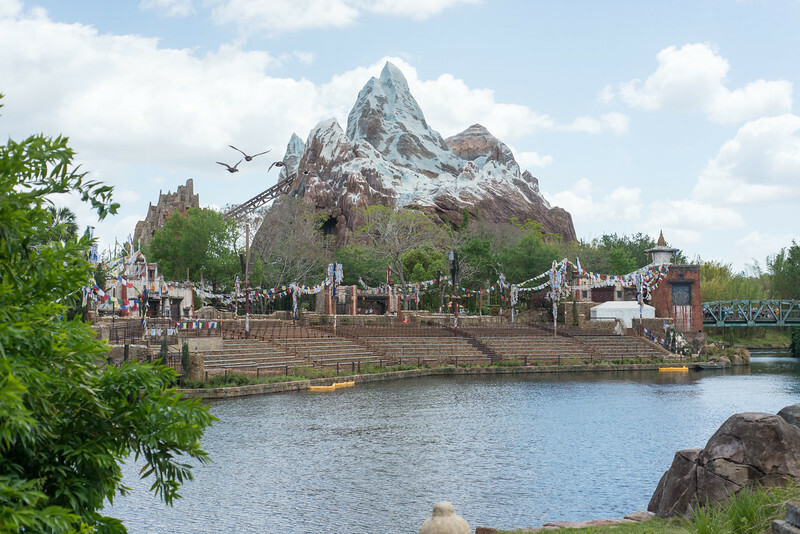 I was sort of in the mood to check out the Rivers of Light construction progress at Animal Kingdom, so I set up my next FP+ reservation at Expedition Everest. As shown above, when I actually went to make the reservation, it now had a 12:30pm slot available, which I took. 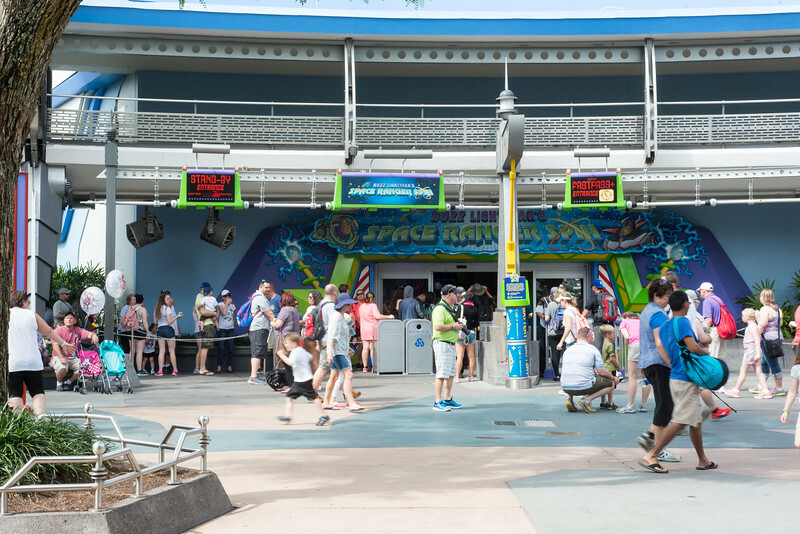 On my way out of the Magic Kingdom, I stopped by City Hall and noticed that, just like my previous visit, the two FP+ kiosks in here had very little wait, with just one guest at one of the kiosks, and nobody in line for the other one. 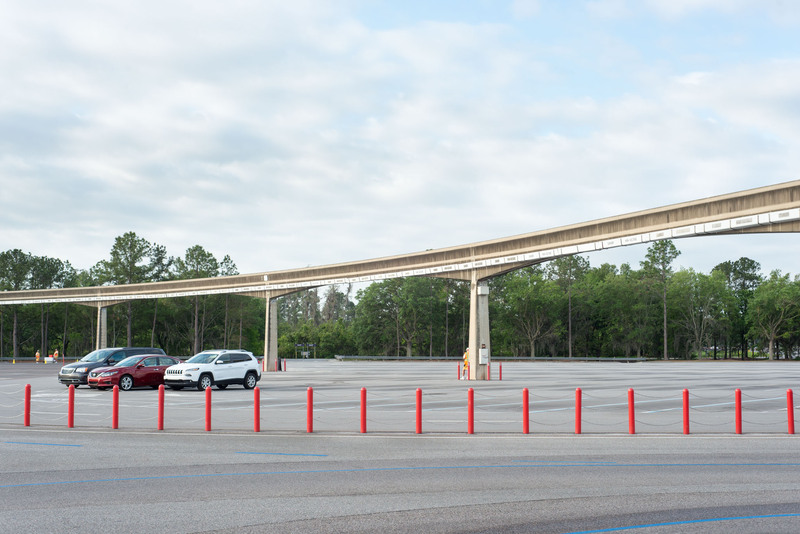 If you click on the image above, you can see details of the large panorama shot illustrating how (not) full the preferred parking area is now, at 12:08pm. ALL of the area on the other side of these yellow cones is reserved for preferred parking. Here I am, twenty minutes later at the entrance to the Animal Kingdom. Not too busy at the front gates. 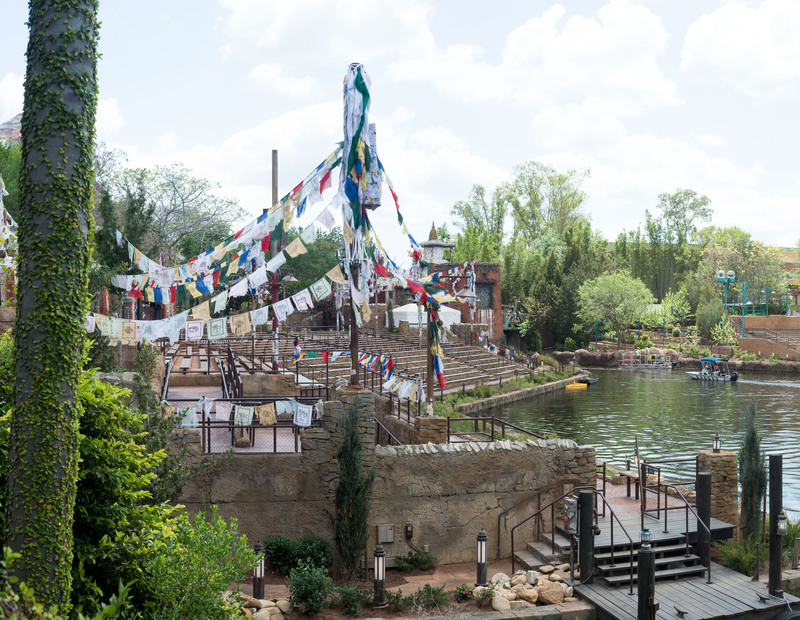 Construction is moving along nicely at the Rivers of Light, though Disney is keeping mum on when we might exactly expect to see it open now. The prayer flags here serve to blend the viewing area in well with the Expedition Everest theme across the walkway from the rear of the seating area. 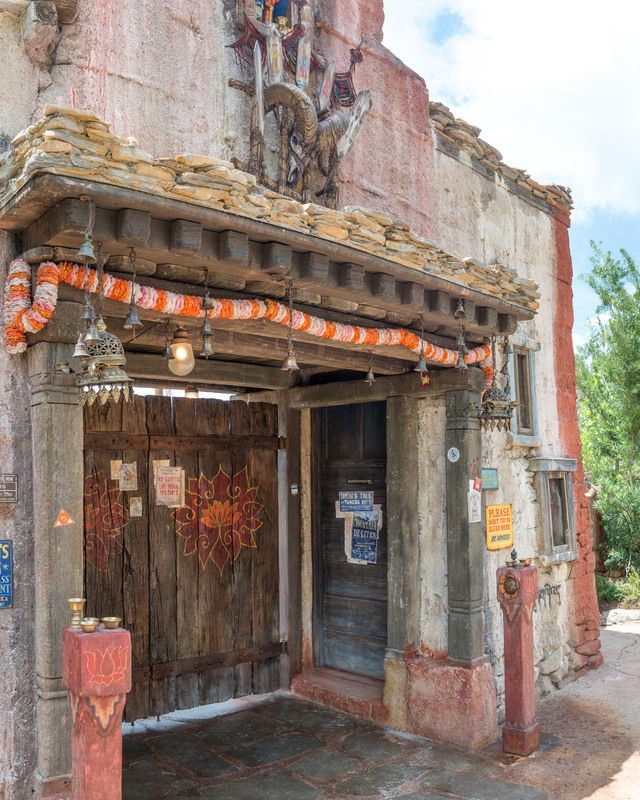 Here is one of the newly-uncovered entrances to the Rivers of Light show. 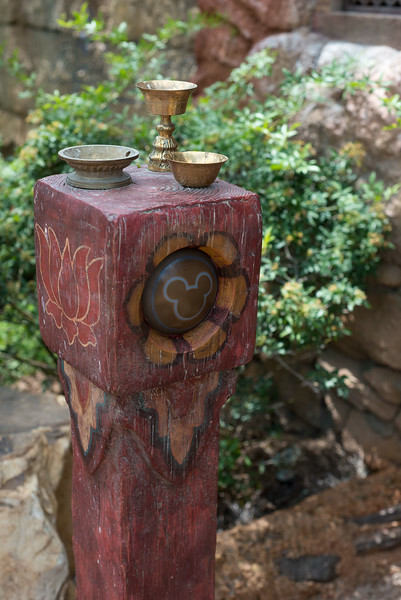 I really like the great details here, and how well it fits with the rest of the park. I’m sure Joe Rohde must be pleased with how well this has turned out. 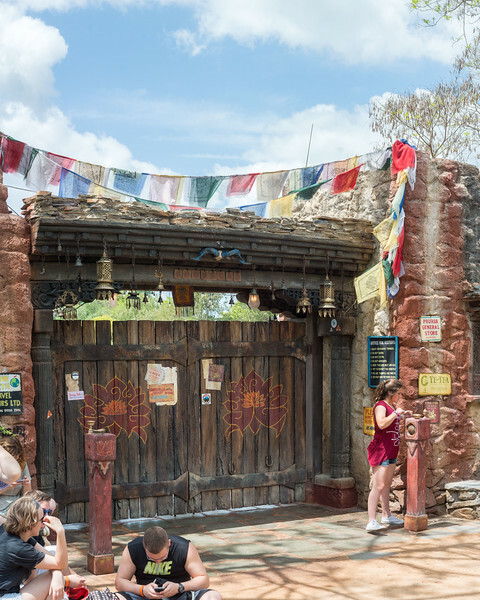 Another Rivers of Light entrance. Even the FP+ readers are nicely themed. 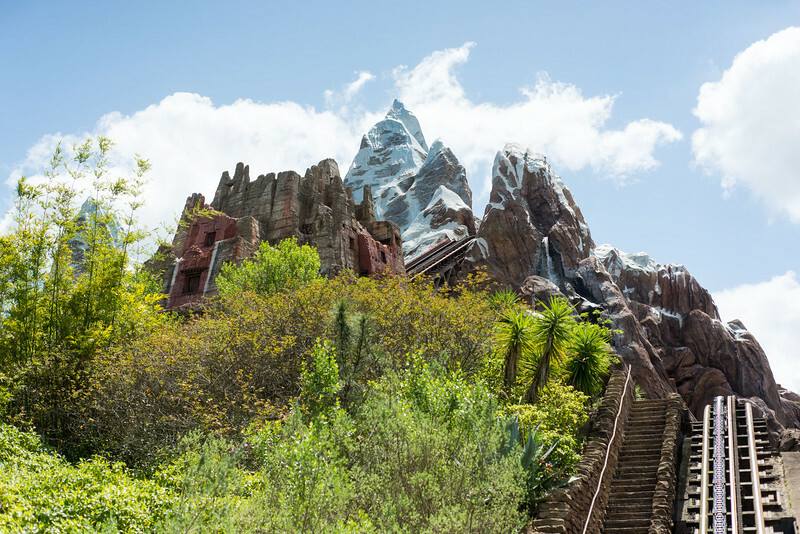 It’s 12:57pm and I’m on my way up the lift at Expedition Everest. I finished my day at after riding Everest, but I thought it might be helpful to see what my possibilities were for a fifth FP+ reservation, had I chosen to get one. I’ll follow with some brief analysis. Things are *generally* getting more restrictive now, as you might expect with today’s last-minute FP+ users filling out their FP+ slates for the day, but there are some exceptions. Below is the list of available reservations just after 1:00pm. 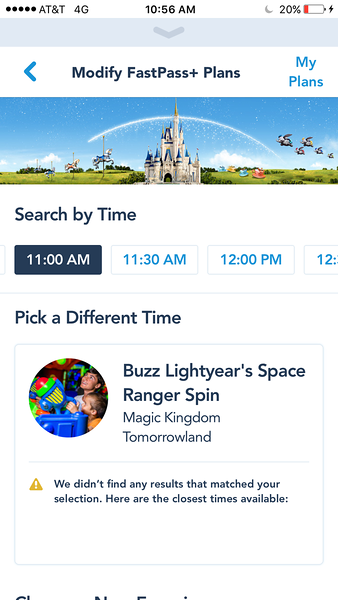 Just focusing on the Hollywood Studios list here, it’s interesting to me how different the list is now of available time slots, compared to the list I captured at 11:30am. 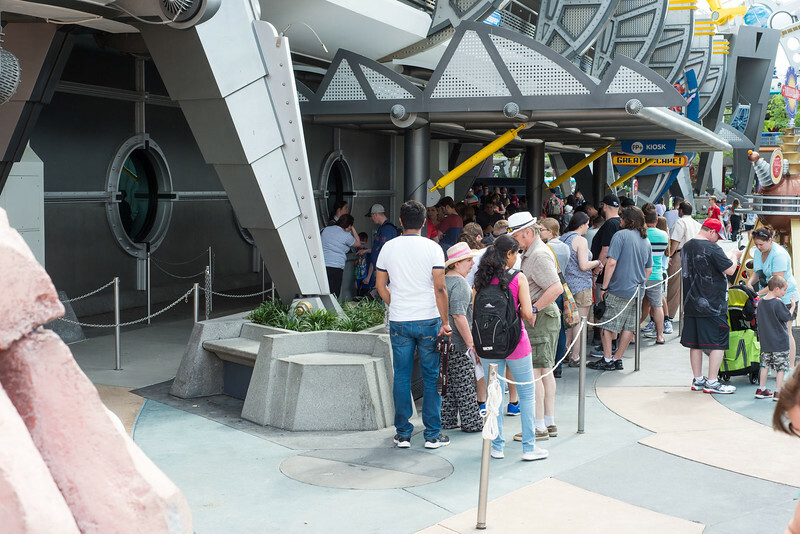 Previously, Star Tours was showing what appeared to be sporadic availability, at 11:30am, 4:30pm, and 7:10pm. It now appears to be showing wide availability beginning at 5:20pm. 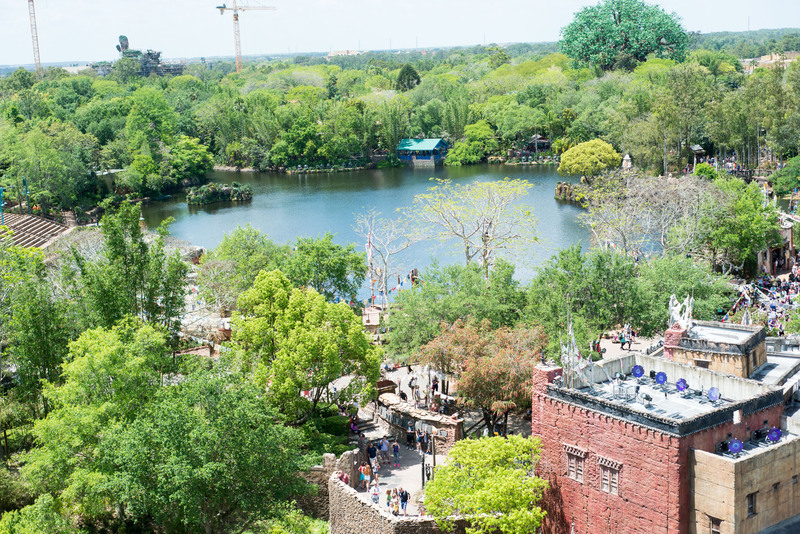 Once you have your initial three reservations set and the day of your visit has arrived, flexibility in changing your initial three FP+ reservations is somewhat limited, versus what someone else might see who is still setting up their initial reservations. From a practical standpoint, what does all of this mean? First, I think it’s important to note that you shouldn’t absolutely depend on being able to get anything past your first three FP+ choices. Although availability later in the evening seems decent in the lists above, I was visiting as a party of one, on a not-terribly-busy day. 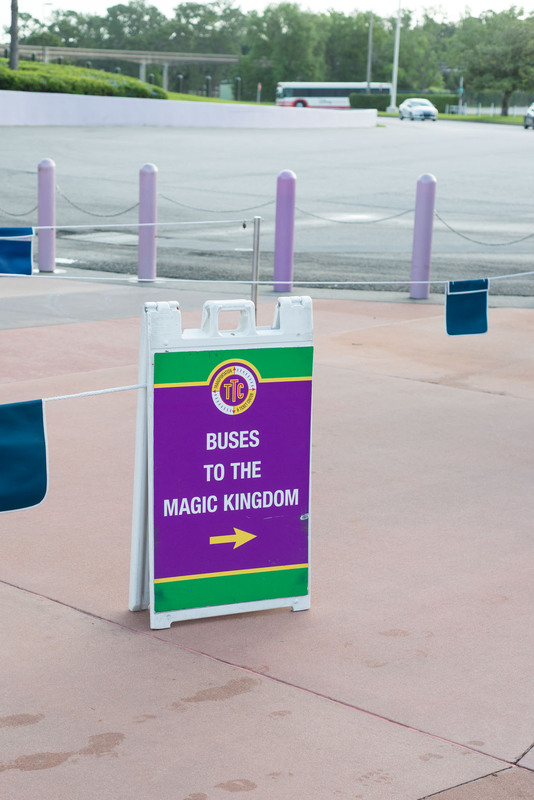 If you’re making a RideMax plan and are really, really, want to ride a specific attraction, you should either include it as one of your three “guaranteed” FP+ reservations, or you should expect to visit it standby. Any fourth, etc. FP+ reservations should be viewed as a bonus. It will be interesting to see how all of this unfolds, and we may get a better picture of what’s “really” happening behind the scenes of FP+ and what to expect in terms of availability as we get more experience with the system. 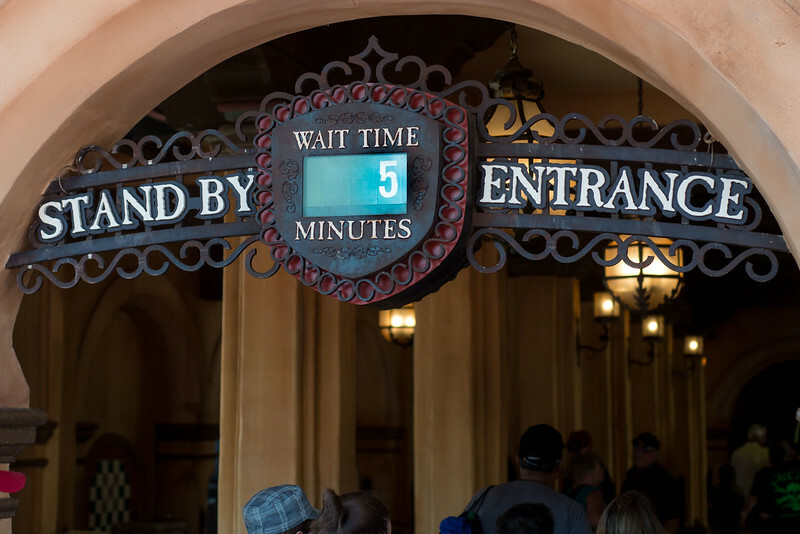 As always, if you’re looking for a custom, time-saving game plan designed to minimize your wait at Walt Disney World or Disneyland, be sure to subscribe to RideMax. 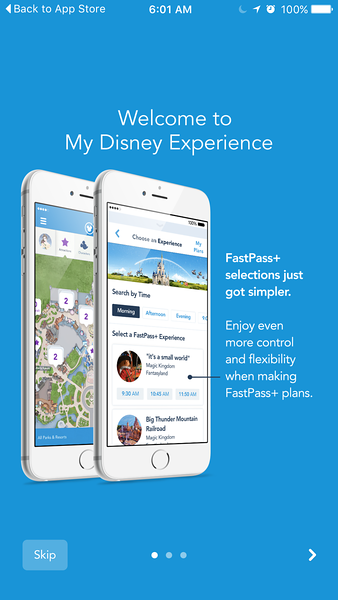 Finally, what do you think of the new enhancements to FastPass+? Be sure to share your thoughts in the comments below! I used the new Fast+ app this past Sunday. MK and Epcot. Both were very busy. We were parked way out in Mulan at 9:30. I noticed that everytime I attempted to change my selections, I would get slightly different options for time and available attractions. We scored a Minetrain FP, same day! My advice would be that if you don’t see why you want just keep checking and you’ll probably end up getting it eventually. Yes, Wendi, the lists of what’s available do seem to change quite a bit as the day goes on. 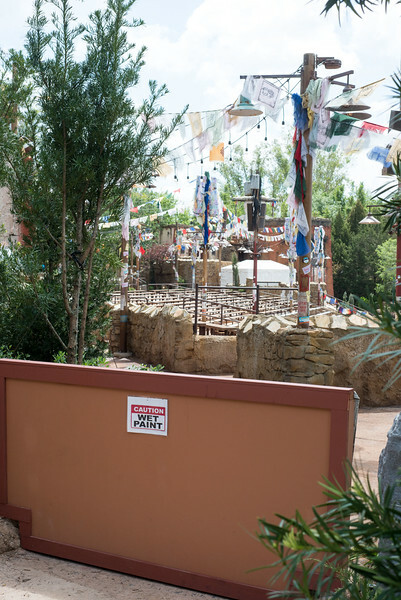 Congrats on scoring the Mine Train FP+! 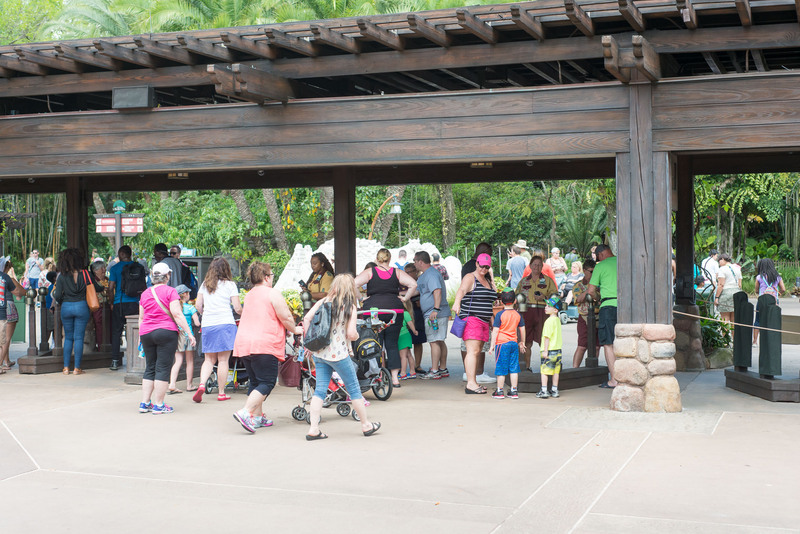 When will the Animal Kingdom 11 PM closings in June be added? 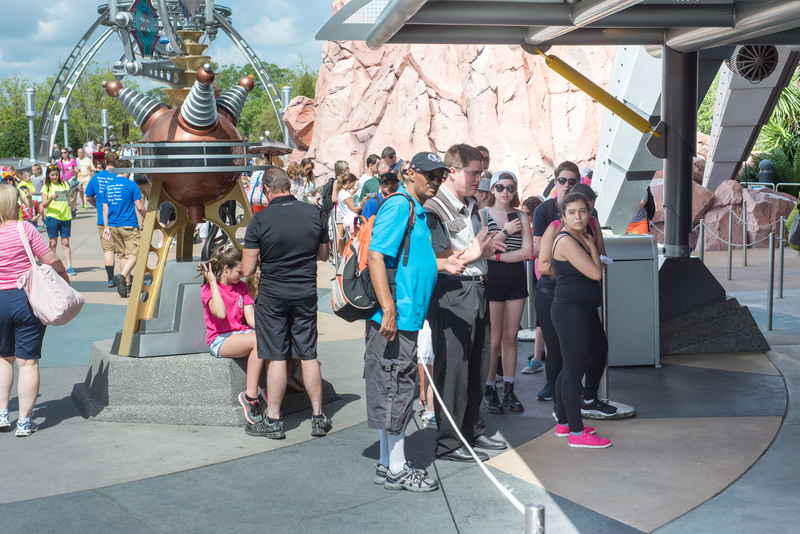 Can you sign onto the Magic my way app to select your fourth fast pass + once you are in line on your third Fast pass+ ride? 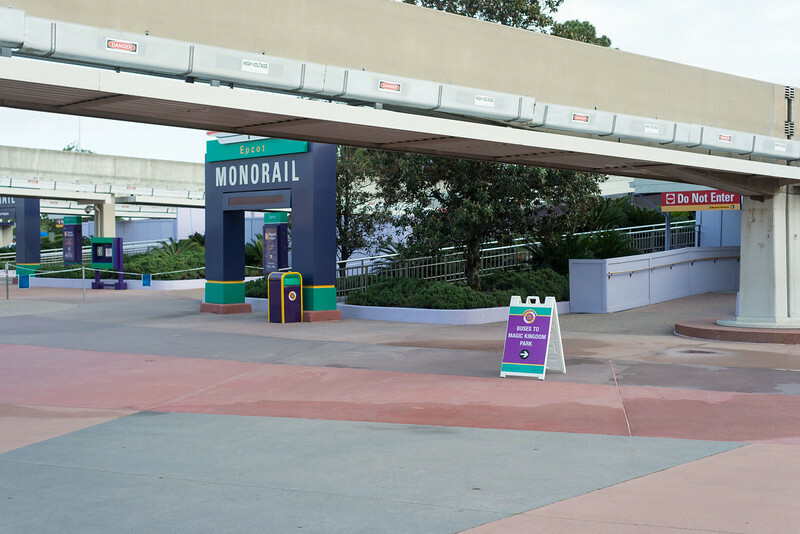 Basically, I was wondering if you are able to make your selection as soon as you checked in on your last booked fast pass ride. I just wasn’t sure how the system knew you were done with your last ride? 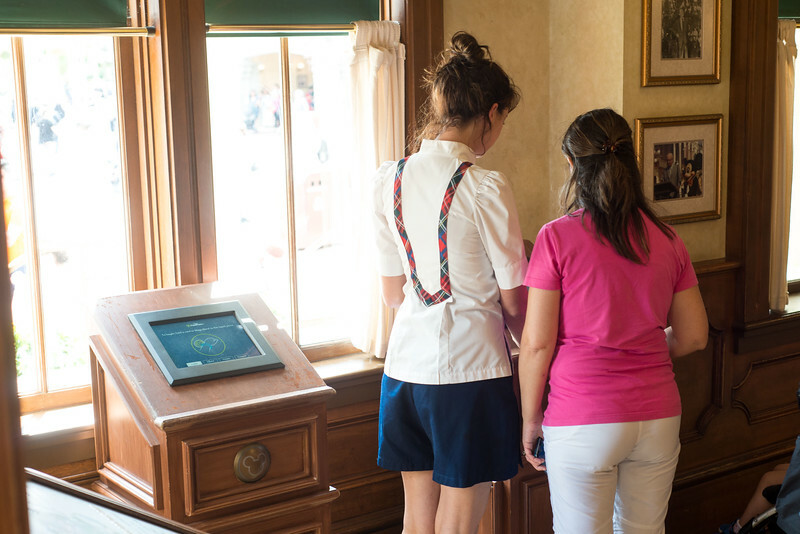 Yes, as soon as you’ve had your ticket or magic band scanned at the attraction entrance for your third FP+, you can go into the app and request a fourth. Often there isn’t a great selection by that time of day, but sometimes there are cancellations which allow you to sort of sneak in lol. Next Next post: Disney’s Animal Kingdom Changes Reflected in RideMax… Soon!